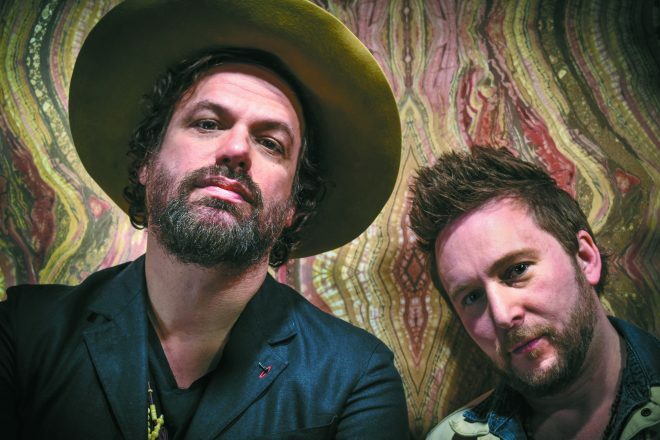 When the Detroit Jewish News asked me if I'd be interested in interviewing Rusted Root's Michael Glabicki for an article to promote his appearance at a music festival hosted at the Jewish Community Center, I immediately agreed. Rusted Root has been one of my favorite musical groups for decades so I wasn't going to turn down this opportunity. What was confusing to me was why Glabicki, who is not Jewish, was invited to perform at this Jewish festival. I knew there was a connection to Judaism with Rusted Root because I had previously written that former band member Liz Berlin's father is a cantor who studied at the Jewish Theological Seminary, while I was studying there in the rabbinical school. However, I couldn't figure out the connection to Judaism for Glabicki. Turns out that the festival organizers either thought Glabicki was Jewish or they just thought his music had a Jewish feel to it. Whatever the case, it was a lot of fun talking with him about Rusted Root's music, his ongoing tour with Uprooted, his musical influences, spirituality, depression and what to expect when Uprooted comes to the JCC Ethan & Gretchen Davidson Music Festival at the Berman Theater for Performing Arts (located at the Metro Detroit JCC) this Sunday evening. 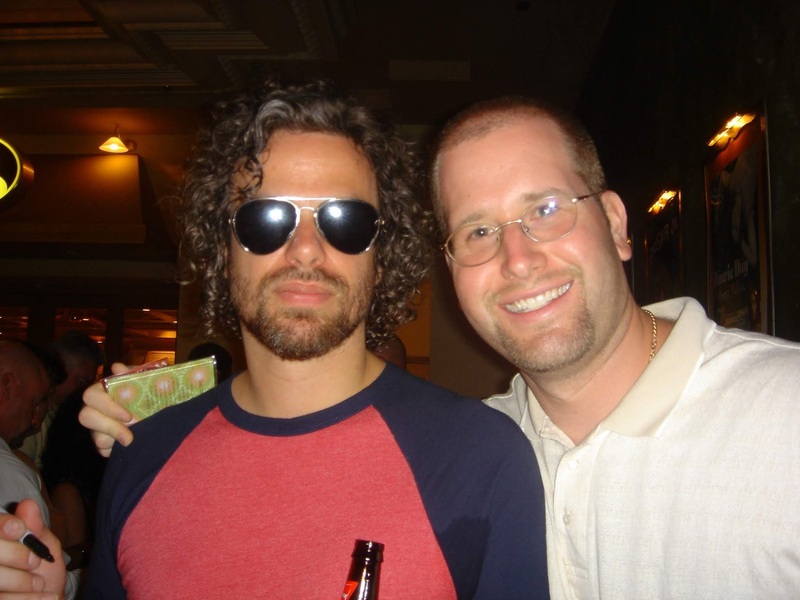 I first met Glabicki and the other members of Rusted Root following a small show in Las Vegas almost 13 years ago and was impressed with how generous they were with their time to their fans. He was even more generous with his time for this interview and I'm grateful. You'll be able to listen to my interview with Michael Glabicki on the Pop Jewish Podcast soon, but in the meantime, here's my interview that was published in the Detroit Jewish News. The JCC Ethan & Gretchen Davidson Music Festival returns for its second year at The Berman and this year’s lineup is better than last year’s. This festival is an innovative approach to arts and music festivals showcasing three artists for three nights of extraordinary music. Project Trio will perform on May 24 and Marc Cohn, well-known for his hit “Walking in Memphis” will perform on May 26. Rusted Root’s Michael Glabicki will bring his solo project, Uprooted, to the festival on May 27. Glabicki is the founder and lead singer of the multi-platinum band Rusted Root, who formed almost thirty years ago, and has collaborated with the likes of Santana, the Allman Brothers Band and Led Zeppelin. He promises to carry on playing Rusted Root’s entire catalog of music on tour with re-inspired versions, as well as continuing to bring new and exciting music under the new name of Uprooted, his new touring band. Rabbi Jason Miller: Tell me a little bit about Uprooted and the inspiration behind it. Michael Glabicki: Uprooted came about because I was doing a lot of writing and getting into different writing techniques. I’ve really come up with a lot of different sounds, grooves and ways of laying out the different lyrics and vocals of the songs. It’s a really explosive and prolific time for me to be putting this all together. I just kind of felt like it was taking a trajectory that was off the Rusted Root path. So, I decided to get this new band, Uprooted, to put the mechanics behind what I need for the music. RJM: What can we expect when you bring Uprooted to the Davidson Musical Festival? MG: Some of the artists were in the Rusted Root touring band so I’ve worked with them in different ways. We’re a very intuitive band. There’s a lot of chemistry when I’m in the room with them so it just very easily flows. What I’m trying to do is create a safe environment where whatever happens happens, meaning that we can come in one day and play something completely different than what we did the previous day. It really comes down to just living in the moment where whatever we feel like that day is what is going to inspire the arrangement of the songs. So, when we get on stage we’re just going to really be who we are and it’s going to be a big surprise to us. RJM: I know that Liz Berlin (member of Rusted Root) is Jewish and her father, Cantor Rick Berlin, was at the Jewish Theological Seminary’s cantorial school while I was studying there in the rabbinical school. Do you personally have any connection to Judaism? MG: My sister converted to Judaism about five years ago. She married a Jewish guy, so I’ve been to some of the ceremonies. I love it and I think it’s a great community kind of feel. I was at their daughter’s bat mitzvah and it was beautiful. RJM: Your music incorporates so many diverse styles. Who are your influences? MG: Probably the earliest one would be Cat Stevens. When I was six years old, I’d listen to the 8-track of The Greatest Hits of Cat Stevens that my parents had. I’d just sit down under the dining room table and just experience his songwriting. I think the acoustic aspect of what he was doing probably touched me at an early age. That’s what drove me to play Rusted Root music on an acoustic guitar at first. In my first year of college I dropped out because I had depression, but songwriting helped me to feel a whole lot better. That’s when I decided to become a songwriter. RJM: Talk to me about your love of instruments. I know you play the penny whistle and some other unusual instruments. RJM: Through Rusted Root, you’ve collaborated with some amazing musicians over the years. Who do you dream of collaborating with in the future? MG: It’s not really something I think about. Playing with Santana was something magical, but I just pray that somebody’s going to come soon because I feel like I want to but I don’t ever want to force it.